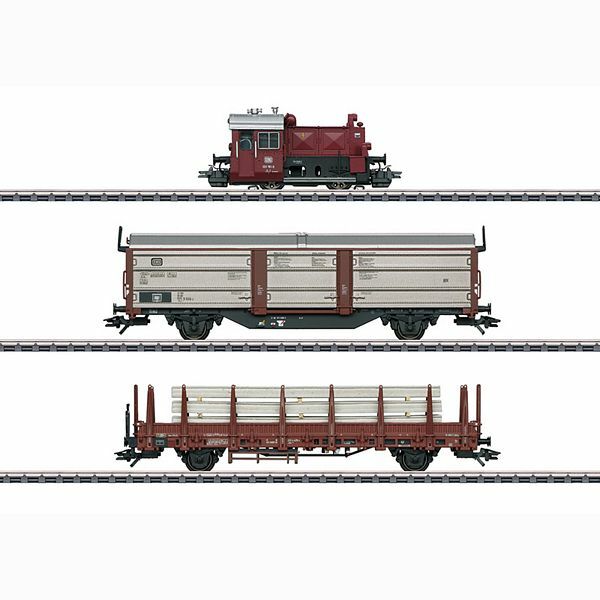 Model: The diesel locomotive has an mfx+ digital decoder and extensive sound functions. 2 axles powered. 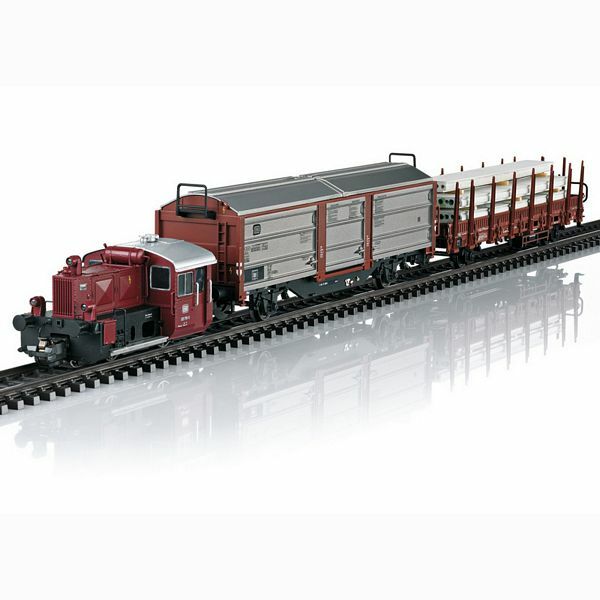 Track adhesion magnets are included for improved pulling power. The locomotive has Telex couplers front and rear that can be controlled separately in digital operation. Triple headlights and dual red marker lights change over with the direction of travel, will work in conventional operation, and can be controlled digitally. The headlights at Locomotive End 1 and 2 can be turned off separately in digital operation. When the switching range is activated or when the headlights at both ends are turned off, then the "Double 'A' Light" function is on at both ends. The locomotive has separately applied metal grab irons. The sliding roof / sliding wall car has separately applied end platforms. The type Kbs car has a load and removable stakes. The stakes are included. Total length over the buffers approximately 39.5 cm / 15-9/16".